If you are in the market for a top-notch steel building contractor, look no further than Mueller Steel Buildings. While there may be a slew of other options out there when it comes to steel building contractors, Mueller Steel towers high above the rest of them as the company is 100 percent focused on offering various features that will surely prove as an asset to you no matter what your specific needs and requirements are. Mueller is renowned in the industry and among its clientele as a reliable, grade A source of steel structures. You will not find a better steel building contractor elsewhere. These days, most companies will tell you that part of their customer care procedure is to provide you with a free quote as well as a private viewing of their available models. But Mueller Buildings chooses to go the extra mile and its staff actually takes the time to sit down with you and really flesh out what your requirements are in the world of steel structures. The company has done this countless times so if experience is a non-negotiable for you, you have come to the right place. The steel building industry is teeming with start-ups left and right and the industry is constantly evolving. Given the sheer number of choices available to choose from, how does Mueller Metal Buildings stand out amongst the competition? First off, the history of the company speaks for itself. It has been in operation for over eight decades. Walter Mueller initially started the business as a sheet metal company that sold water cisterns. At present, the business has served thousands of farms, businesses and organizations. The Burly Corporation purchased Mueller Steel Buildings in 1984. This then led to the expansion of the company throughout America. The additional capital also enabled it to begin utilizing cutting-edge manufacturing processes to produce its metal products. 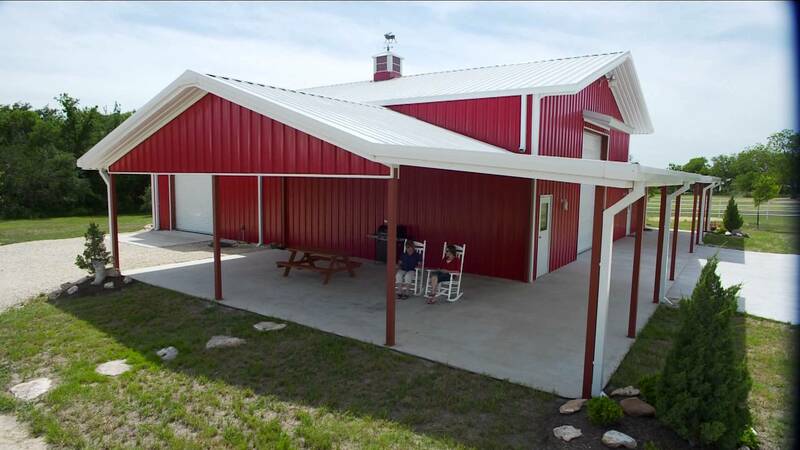 Mueller distinguishes itself from other steel building providers in the industry as it gives its customers the freedom to customize their structures to a certain degree. For instance, one can choose their desired color for the building. There is a palette of colors that you can make a selection from. This is viewable on the company’s website. From here there is a digital model that shows you the colors of your building’s walls, doors, trim and rooftops. Another one of Mueller’s strengths is that it has also made available a return and storage policy. There is always a professional guarantee attached to its product and service offerings. Are you the type who likes to work with their hands or likes to get involved with DIY projects? Mueller has a number of DIY greenhouse projects to choose from. You can even download manuals from their website that provide you with detailed information on setting up sheds and greenhouses. There are videos that you can watch and learn from on the site as well. “I’m looking seriously at a 40 x 60 Mueller Steel Building.